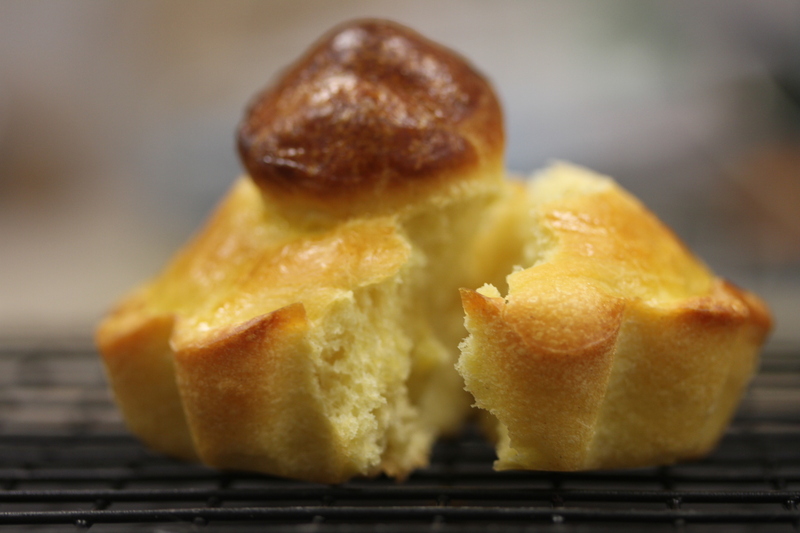 This weeks bake was Brioche and they weren’t as hard to make as I thought they would be. This bake was one of my favourites and I will defiantley make them again. The dough is made the night before and left in the fridge to rise. The next morning I divided the dough into 16 equal pieces and then took a small piece of each of the 16 pieces which I then used to make the bobble on top of the roll. Once all shaped up the dough is then placed into moulds. Never having made brioches before I had to buy some moulds to add to my baking tin collection! I’m don’t really like silicone bakeware but that was all I could find that didn’t cost too much money and would get to here in time for my bake and they turned out to be very nice moulds. 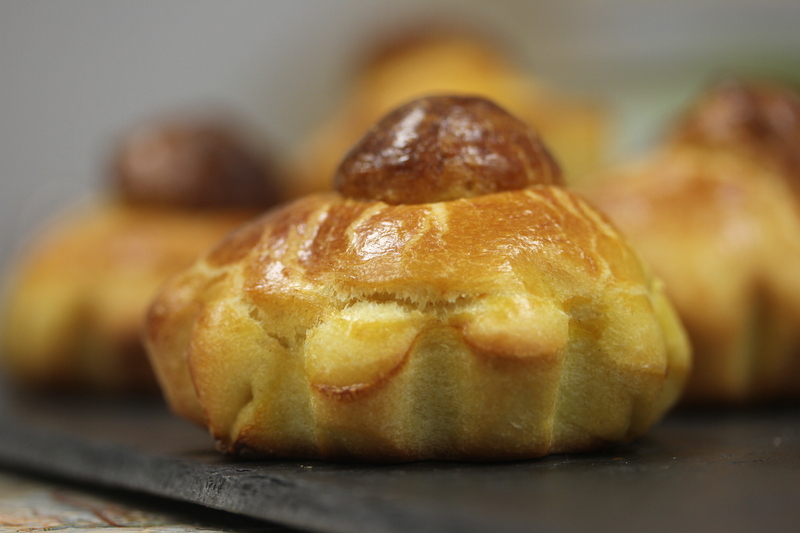 Did you Know:- Brioche comes from France and is often thought of as being a pastry but it is really a bread. 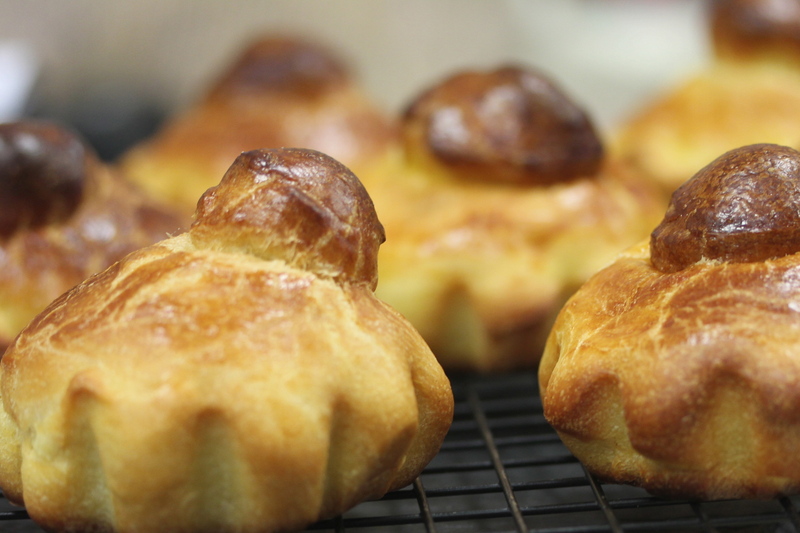 It is the butter and eggs that make it light and flaky and probably why it is confused as a pastry.